Graduate History Alumnus, Derrick Kay, ’18, has recently been named the Assistant Director for the Ronald E. McNair Scholars Program within the Carolina Higher Education Opportunity Programs (CHEOP) Office at the University of North Carolina at Chapel Hill. Prior to this new role, Kay worked as the Program Counselor for the UNC Upward Bound Program, also located within the CHEOP Office. The Ronald E. McNair Postbaccalaureate Achievement Program is a federally funded TRIO Program that seeks to prepare undergraduate students for doctoral study through research opportunities, faculty mentoring, summer enrichment and other scholarly activities. The Program was created in honor of the late Ronald E. McNair, an African American physicist and astronaut, who passed away during the Challenger tragedy in 1986. McNair Scholars represent students from a range of experiences, drawing undergraduates from low-income, first-generation and underrepresented backgrounds. Ultimately, the McNair Program seeks to increase Ph.D. attainment among groups that have traditionally been underrepresented in or denied access to graduate degree programs. 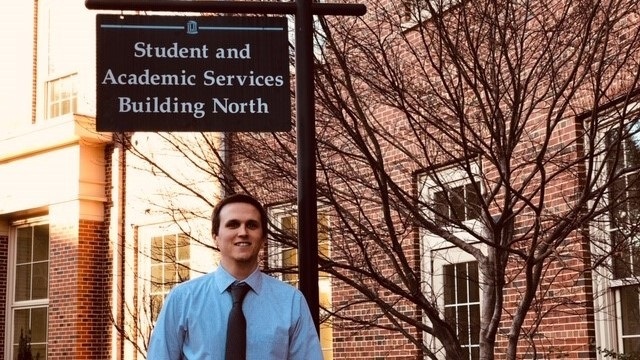 Kay graduated from North Carolina State University in 2018 with his Master of Arts in History and holds other degrees from Duke University and the University of North Carolina at Chapel Hill. With a background in teaching and mentoring, he looks forward to working with McNair Scholars on their research skills, challenging them to ask the right questions and never give up, even when facing new, increasingly complicated levels of inquiry. He hopes to draw heavily on the knowledge he gained while at North Carolina State, helping a new generation of budding scholars to find their place and comfort within the academic world.